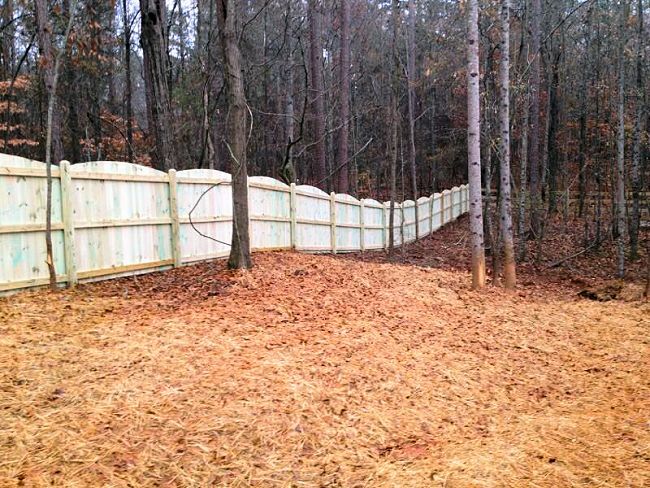 Wood Fencing for your yard is one of the most popular fences in the United States. Being made from a natural product, it is easily constructed, shaped, and designed to your specific needs and objectives. 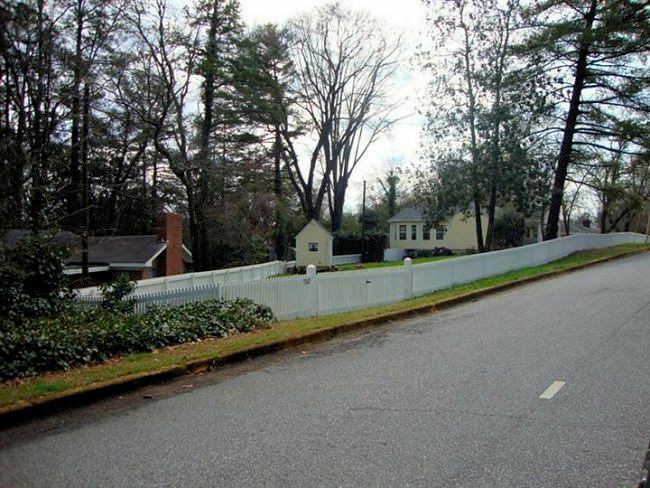 It also can add street appeal due to its' aesthetic beauty to your home or property. 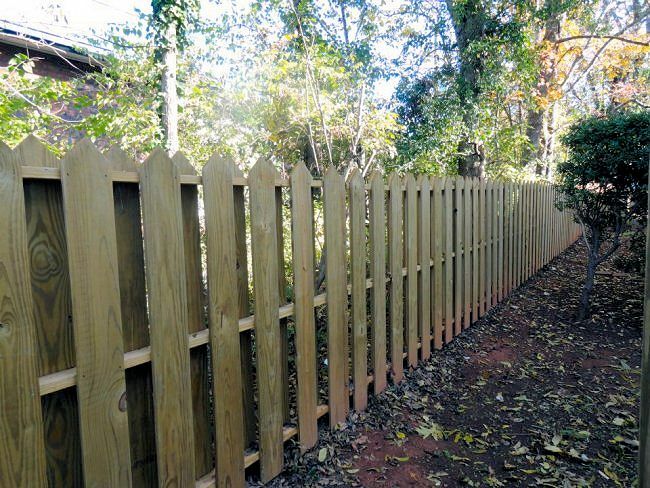 Properly maintained wood fencing made with the appropriate materials can provide years of beautiful durable functional use. 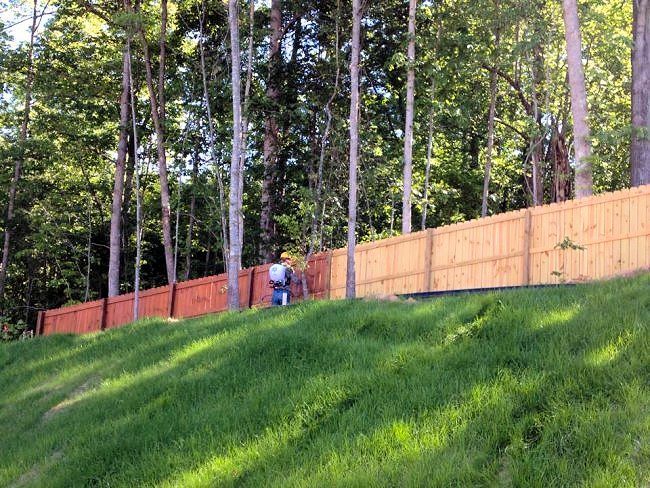 Wood fencing can also be used as part of your outdoor living design; such as partial or full privacy fencing in the back yard. 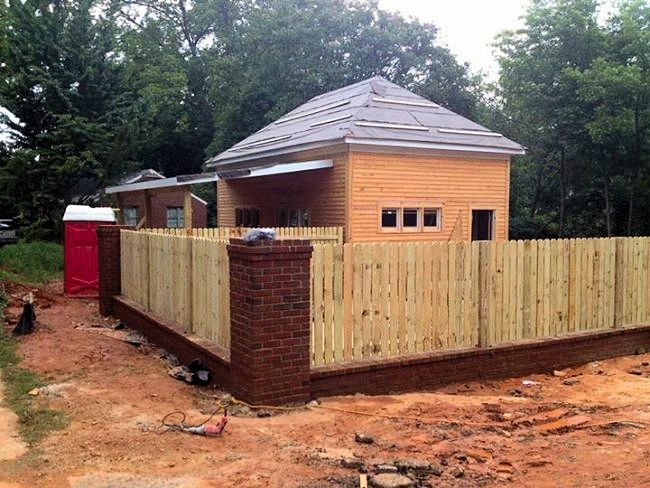 Akridge Fence Co. specializes in the sales and installation of custom wood fences for both residential and commercial clients. 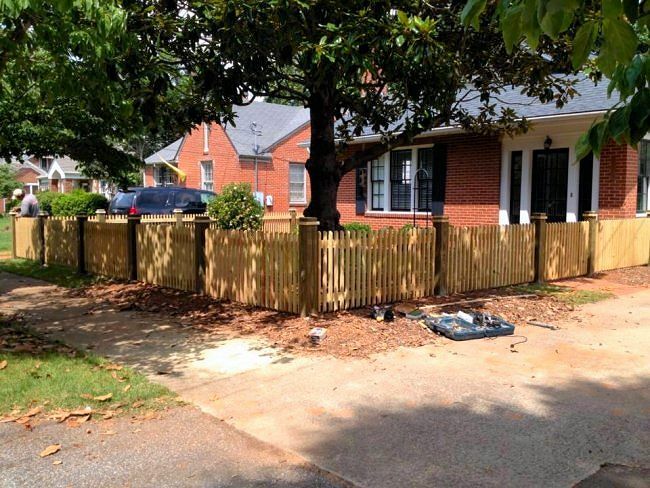 Whether you are looking for a 4 foot picket fence to enclose your back yard for your pets and children or an 8 foot privacy fence to create a private sanctuary away from the prying eyes of nosy neighbors, Akridge Fence Co. can meet your needs. 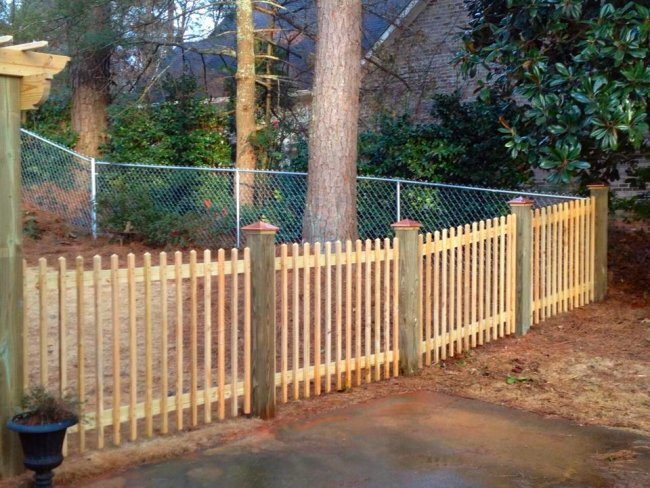 For Natural Beauty and Durability Trust Akridge Fence Company to Install or Repair Your Wood Fence. 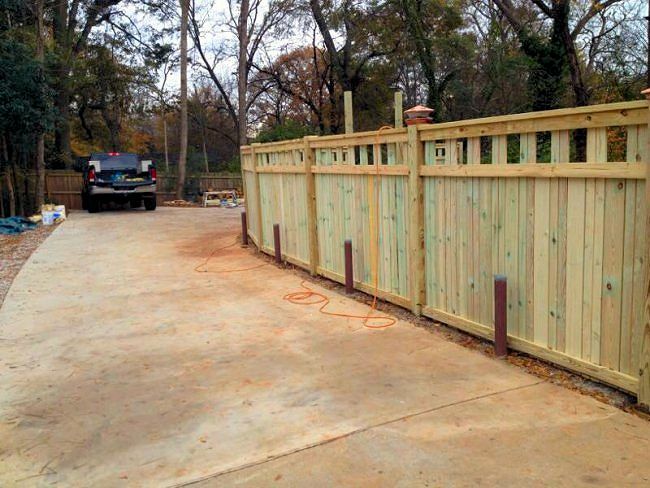 Cedar fence is a beautiful natural wood with a well-known aroma. 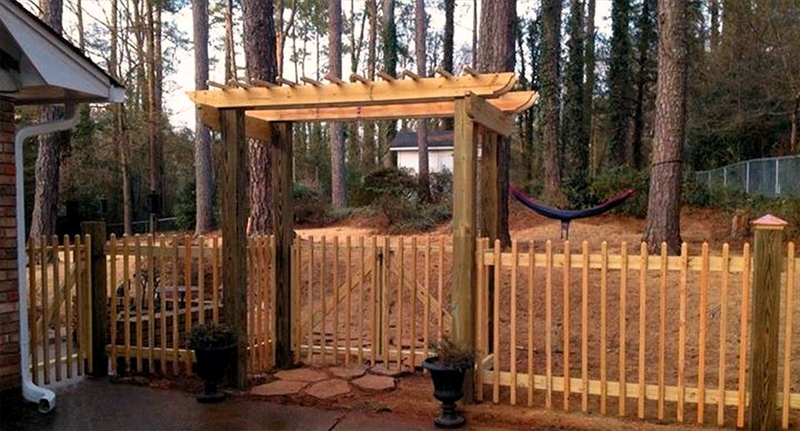 Cedar is naturally resistant to rot, does not shrink, and is a naturally stable wood. 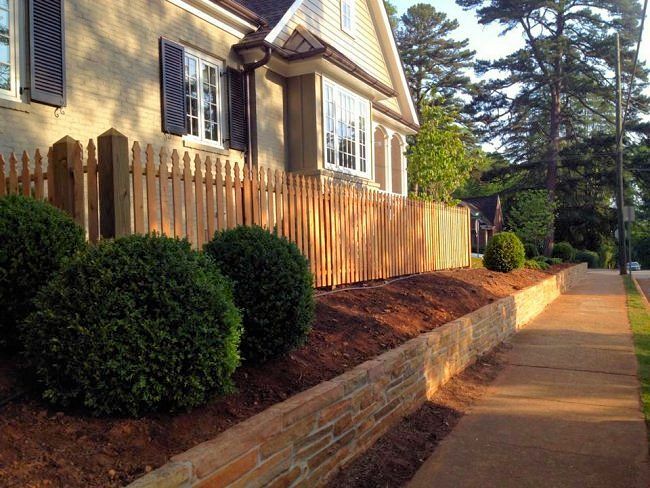 It is a great fencing material for picket fences, privacy fencing, or woven fences. 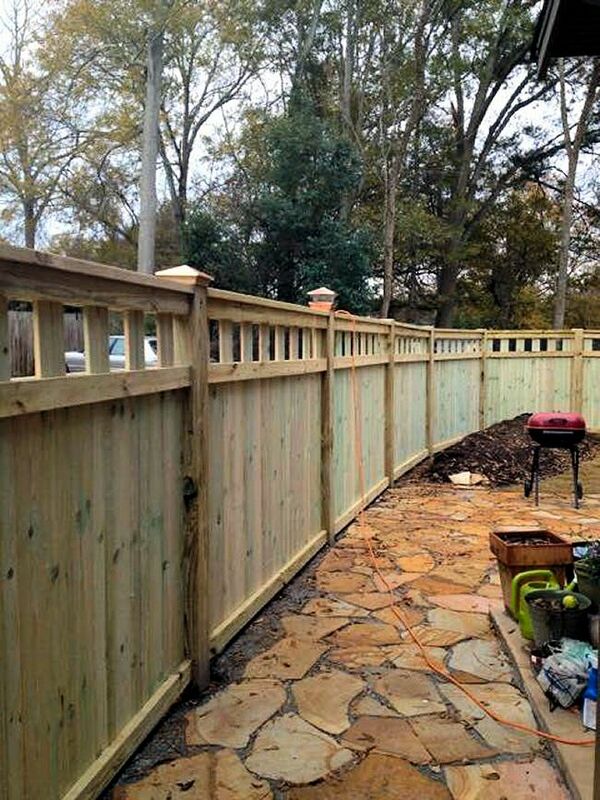 Cedar simply is a beautiful aromatic natural wood that provides years of service. 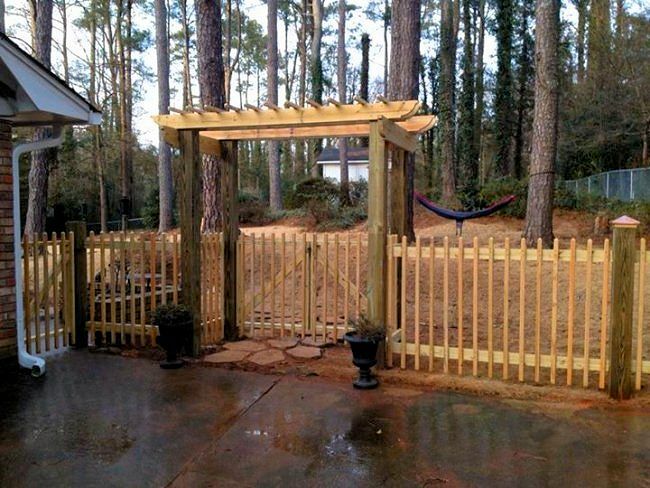 We typically use concrete footings for below ground posts or we can use pressure treated pine post with the cedar fencing above ground. 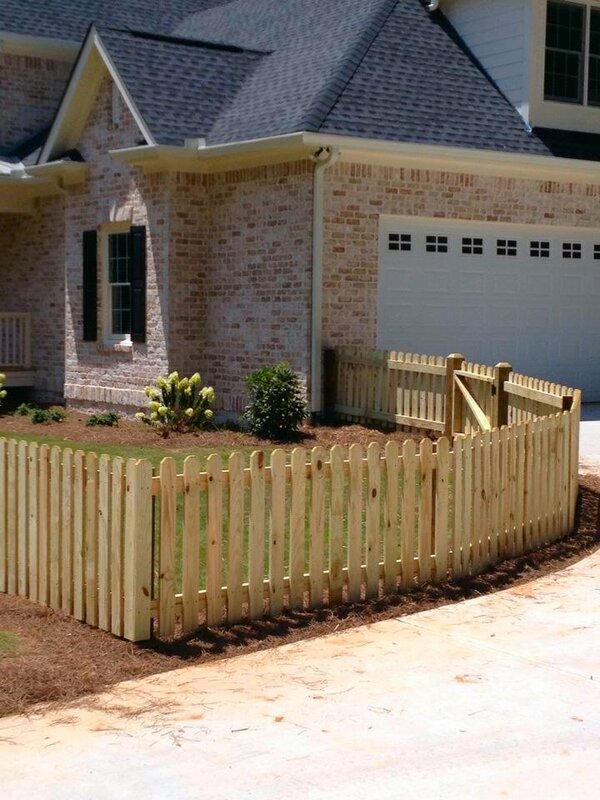 Picket fences are extremely popular in the United States going back to our early history. 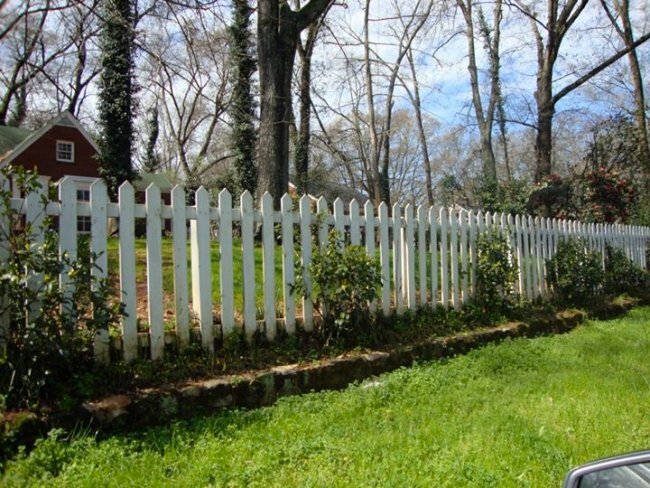 Picket fences are typically evenly spaced vertical boards with pointes at the top of each board and then attached to horizontal rails at the top and bottom which is then attached to anchored posts. 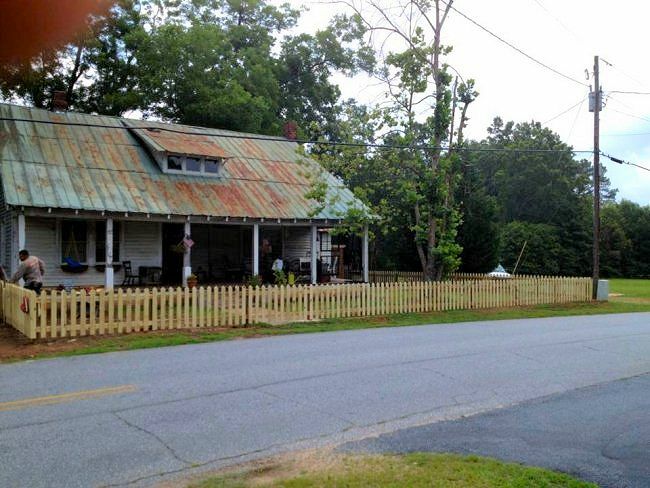 However, there are now many different styles and designs of picket fences. 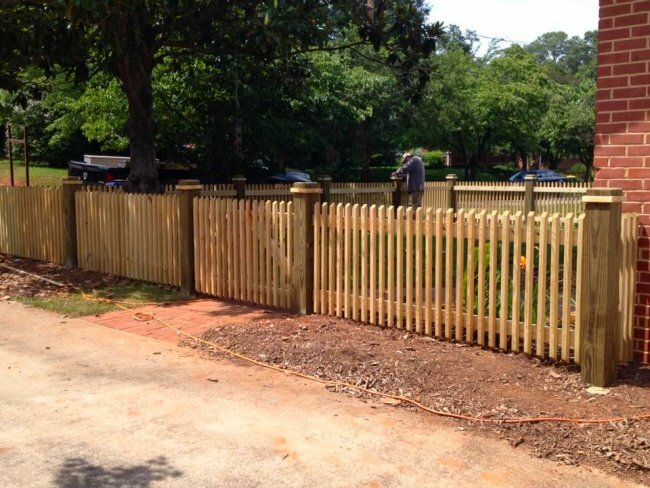 Akridge fence company will help you design your custom picket fence. 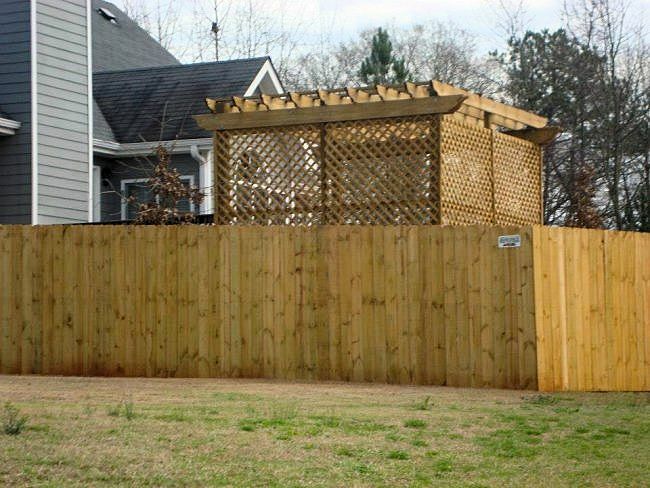 A partial privacy fence is used for many different purposes; such as: around a hot tub, an outdoor shower, swimming pool, trash bins, or to provide privacy from neighbors on one side or both side yards while leaving the back of the yard open for view. 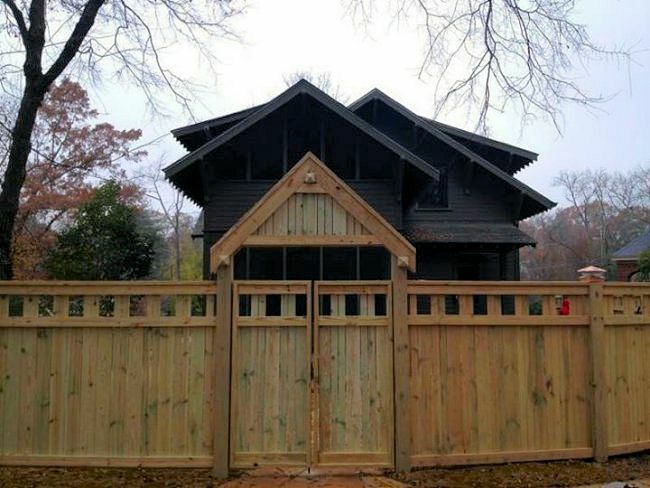 You can selectively pick and choose what to make private and what to leave open with partial privacy fencing. 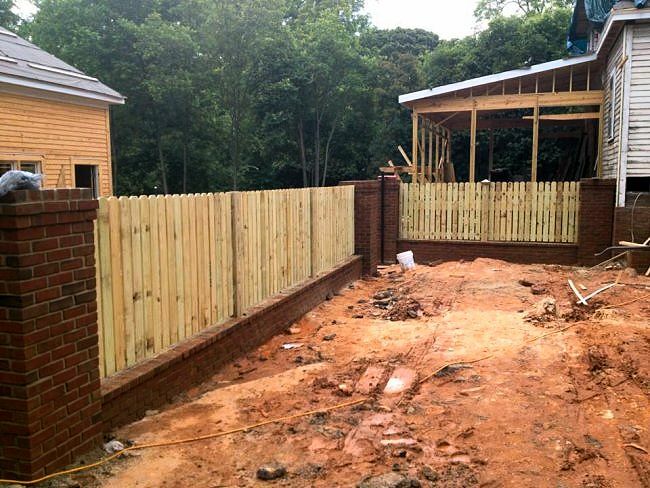 Privacy fencing can easily provide outdoor living space that enhances your life style and security. 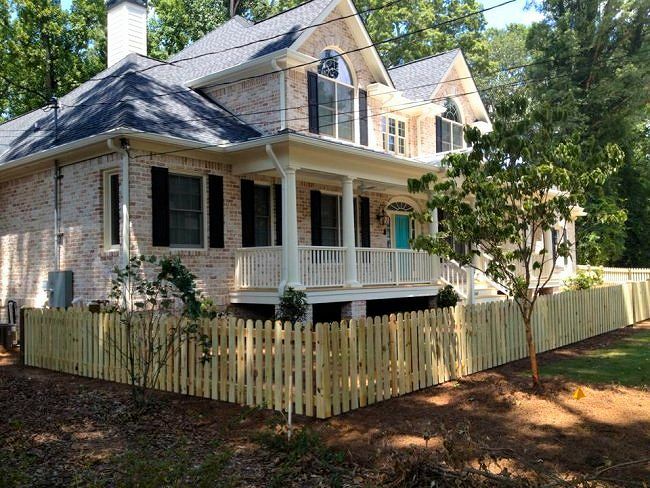 Not only will it help contain and protect kids and pets, but it can give you more living space during warmer seasons of the year. 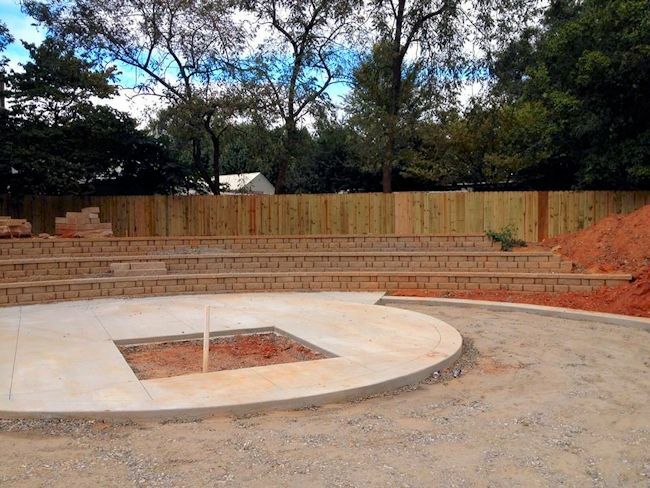 Many people develop their yard areas for barbequing, relaxing on patios and decks, using their swimming pools or hot tub, have fire pits and outdoor fireplaces. 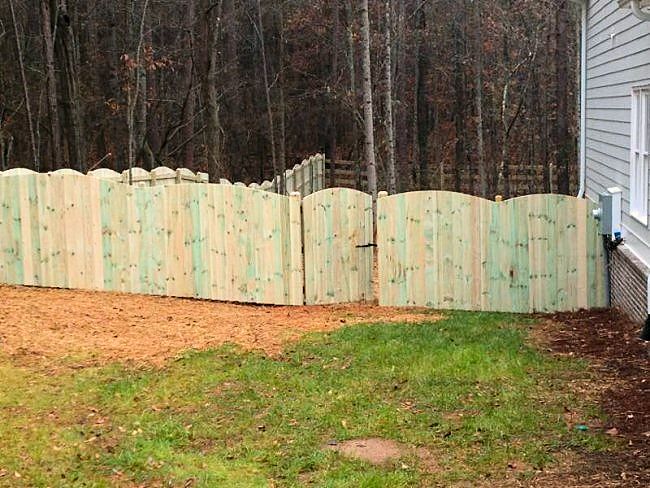 The privacy fence is becoming a common structure to help protect you and your family from prying eyes or nosy neighbors. 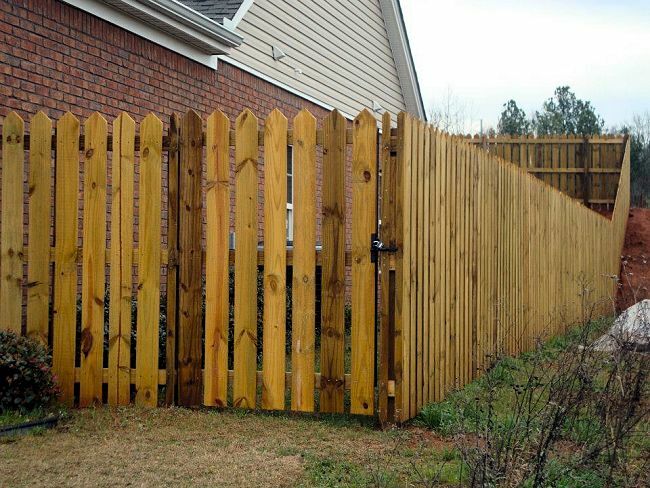 Privacy fencing comes is different shapes, sizes and styles. 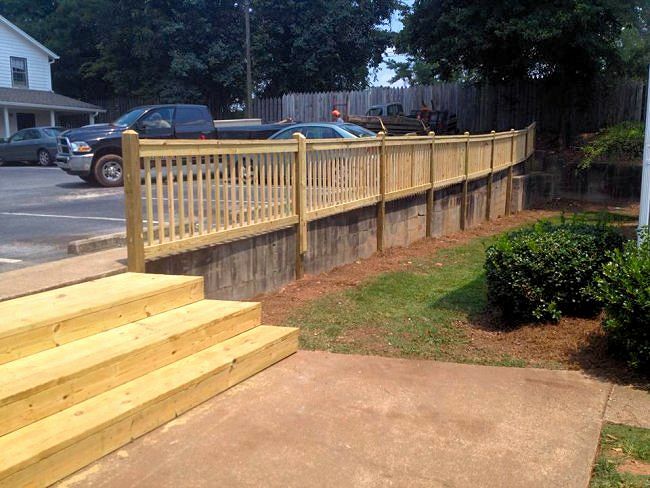 Akridge Fence Company will help you design a fence that will meet your needs. 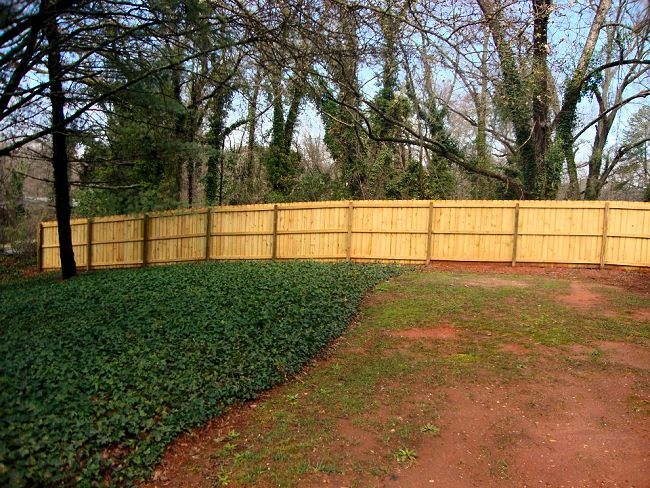 Woven wood fencing provides a tight boundary around any area to protect the area such as a garden or flower bed while providing privacy as well.